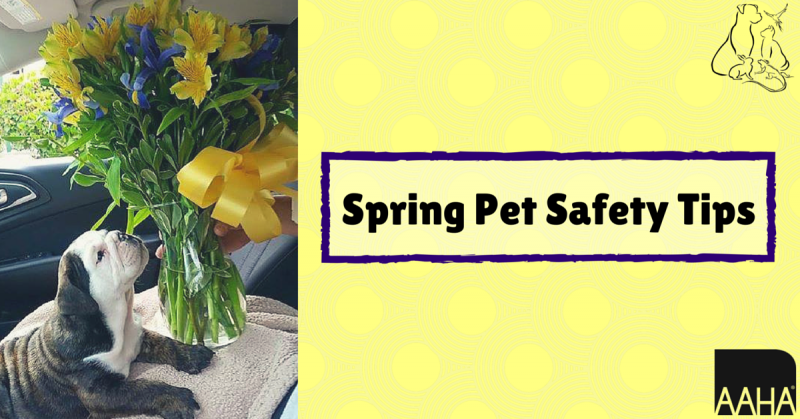 Keep Easter lilies and candy bunnies in check—chocolate goodies are toxic to cats, dogs and ferrets, and lilies can be fatal if ingested by our furry friends. And be mindful, kitties love to nibble on colorful plastic grass, which can lead to an obstructed digestive tract, severe vomiting and dehydration. Moreover, while bunnies, chicks and other festive animals are adorable, resist the urge to buy—these cute babies grow up fast and often require specialized care! April showers bring May flowers—and an onslaught of bugs! Make sure your pet is on year-round parasite prevention, including flea and tick control. Ask your doctor to recommend a plan designed specifically for your pet.